At Active EP, we are more than just gym equipment. We are a community of coaches and clients who support each other every step of the way in achieving your goals. Every session we offer is coached by one of our exercise physiologists or personal trainers to ensure your training is both safe and effective. Offering both individual and small group training sessions, we will tailor your exercises to meet your individual needs, regardless of whether you are a total beginner who is a little nervous to get started or an advanced trainer wanting to improve performance. 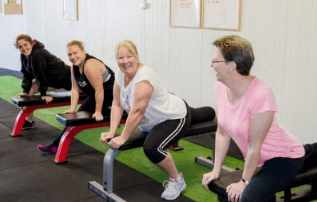 Located in the heart of Bega, we offer Exercise Physiology, Personal Training and Small Group Training including Better Body Project, CrossFit Sapphire, BodyBalance, Boxing WOD & Mobility. Sign up today for your FREE group training trial. Exercise rehabilitation for chronic health conditions and injuries. Sessions conducted by an Accredited Exercise Physiologist. 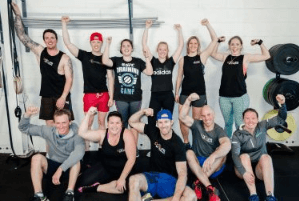 Better Body Project, CrossFit Sapphire, Mobility, Boxing WOD. Private training sessions to Improve your fitness, body composition and health. Specialised CrossFit Kids classes for Primary and High School aged participants. "Working towards retirement at 62, I started at Active EP, joining the Better Body Project sessions 18 months ago. In my lifetime, I’ve been to most forms of exercise classes but had trouble committing for long term gain. Three years ago, I took up snow skiing and realised I needed to improve my fitness as my retirement plan is to become the fittest version of me that I can be! Since starting with Kim and the team at Active EP Better Body Project, not only has my body changed dramatically, but my aches and pains from my joints and “nurses back” are considerably better managed. Now I only have pains from working out! I’m stronger and fitter now than I have been since my twenties. My skiing has improved dramatically. The food that I eat and my everyday choices for activities has changed for the better due to being exposed to the positive challenges and motivation from the Active EP community. The constantly changing program has kept me motivated. I chose Active EP because of Kim’s qualifications as an Exercise Physiologist, giving me the confidence that she would look after my body and its injuries. Now I hate missing a gym session. It’s always friendly, fund, encouraging and informative and as a bonus I’ve made new like-minded friends!" "In September 2016, I got a huge wake up call. I found myself becoming the lazy Dad and lazy husband I’d see in other family members’ whist growing up. My boys were hassling me to get up and do things with them, my wife needing help around the house, but I was tired and didn’t have the energy. Although I was reasonably fit due to playing footy, I was drinking with the boys regularly and eating quite a fatty diet. I looked in the mirror one day and thought something needs to change. That change came when Active Exercise Physiology offered their 8-week Better Body Project challenge. This was my turning point. 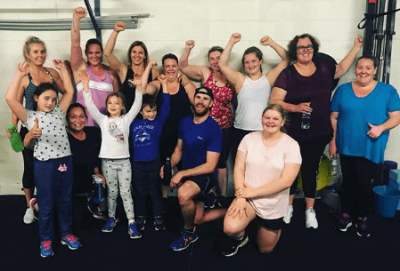 I joined their CrossFit Sapphire sessions twice a week, soon adding an additional session per week of Better Body Project training with Kim. Active Exercise Physiology has not only helped me shred body fat and gain lean muscle mass, but also taught me that balance in the key to healthy eating and a healthy, happy, active lifestyle." "Active EP's Better Body Project Online changed everything for me. I have not only lost body fat and seen incredible changes within my body physically, but Active EP has shown me how to find my confidence, find balance within my life and fall in love with my progress"
"When I started with Active EP in mid 2016, I was miserable with myself both physically and mentally. I was unhappy with the skin I was in and lacked confidence. I started because I felt like I needed something that was just for me – it was my outlet. What I found was a happy place! The support I have received from Kim, Jake and Clinto has been more than I ever imagined! I have been surrounded by positivity and achieved goals I never ever thought possible. I am surrounded by wonderful people who inspire me everyday. I have lost weight but more than that I am getting physically stronger every day and I have grown to love the skin I’m in. I have discovered that I am much stronger mentally than I ever knew. Kim, Jake and Clinto are with you every step of the way – never have I felt so supported and encouraged. This is what sets the Active EP team apart from the other programs I have been involved with (there has been plenty!!) – we are all part of this awesome supportive team! This change has impacted not only myself but also my family. My young boys have a happy mum who now plays and can keep up with them. We make great food choices and have made life long sustainable changes that will set our boys up for life. I cannot thank the team at Active EP enough for standing beside me and helping me stand tall when I didn’t think I could!"